Easter Monday Part 2 - Arky Arky Party! Easter Monday Part 1 - Gavarnie! 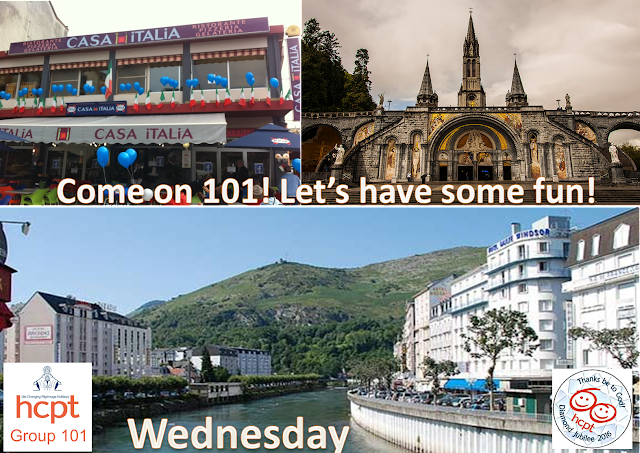 Group 101 are going to Lourdes! Just One Week To Go! Almost £1000 Raised For 101! Brilliant Comedy Night to Remember Gareth! Thanks for a great preparation day!